And then it gets real . . . It is now 6:39 p.m. on a beautiful Saturday and I am grateful to be able to function at a low level once again. Sometimes your own posts become your best medicine! I am so glad that I had the opportunity to explore the topic of suffering before two hellish nights. Sigh. Perhaps this suffering shall pass in time . . .
Low Dose Naltrexone, a compounded medication used off-label to raise a person’s pain threshold and boost the immune system of someone with an autoimmune disease, is now ruled out for me. Just 1.75 mg taken at bedtime the past 2 nights was enough to set off violent seizure attacks! Oh yeah, I’ve had some of these attacks more often lately, but not for 1 1/2 hours in a row with hardly a break to breathe! The duration was much longer this morning with longer breaks in between additional episodes. After 2 hours then 3 hours then 4 hours of sleep, “I am able to function at a low level once again.” This saga is a bite in the shorts for sure. I AM FRIED. First, it’s time for more than one-half of a day break after completing one treatment regime before beginning the next one! Healing from a chronic illness is a process, not a race. Second, it’s time to simplify my daily routine even more. 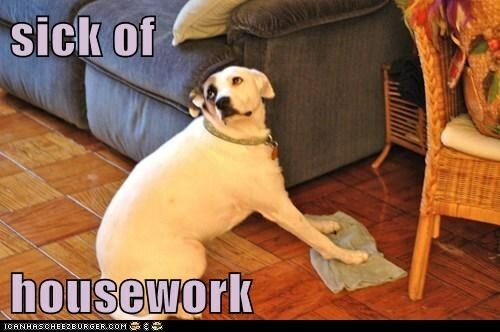 Cleaning the entire house every week is just not going to happen for awhile. This is a bummer since I am paranoid about dust accumulating, since we completed the mold remediation of our home. Maybe the dust is cleaner now? Third, it’s time to ask for help when I need it and not just from my husband. A few ladies have offered assistance over these past 2 years of illness and I have rarely accepted it. Maybe I could use help with a few things during this particular time. Fourth, I must continue keeping my mind filled with scripture, Christian music, Christian messages and uplifting images to ward off the temptations and lies of the Evil One. I must not fall into despair. I must not keep apologizing for the effects of an illness that are clearly out of my control. I must live as though the Lord is creating a masterpiece from the fragments of my shattered life, picking up each piece as if it were a treasure and not another burden. God will use this for His glory and my good. I must hang in there for the finished work. Fifth, I must keep writing, including the good, the bad, and the ugly. And when I do, I will continue to leave my gentle readers with hope by the time I reach the last period. To write has been an incredible salve for my wearied frame, my wearied mind. My soul, well that’s already in the hands of my Savior. I am hungry again! But it’s more-than-time for an Epsom salt-and-baking-soda bath and a shower! Perhaps the Beanitos chips and unsalted dry roasted whole cashews I just ate for dinner while writing this will tide me over just a little longer? Hope so. Next Too Pooped to Punt? Try Another Way! Thanks for sharing your heart Julie. Praying for you.